Frederick D. Rapone, Jr. joined Campbell & Levine in 2007. Fred has managed a variety of litigation and alternative dispute resolution matters for the firm. 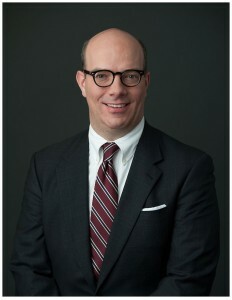 As an associate in the firm’s Commercial Litigation group, Fred regularly represents clients in the Courts of Common Pleas in Pennsylvania, U.S. District Courts, and U.S. Bankruptcy Courts in Pennsylvania and West Virginia. Representative matters include fraudulent transfer actions, commercial contract disputes, and avoidance actions. Fred also has represented clients in appeals to the Superior, Commonwealth, and Supreme Courts of Pennsylvania, as well as the U.S. Court of Appeals for the Fourth Circuit. Fred has represented several Section 524(g) Asbestos Settlement Trusts in private arbitration and mediation matters. In addition to his litigation and appellate practice, Fred has counseled debtors and creditors in bankruptcy proceedings, receiverships, and out-of-court workout matters. Prior to joining Campbell & Levine, Fred served as a judicial law clerk to Chief Justice Ralph J. Cappy of the Pennsylvania Supreme Court and worked at law firms located in Pittsburgh. While at Duquesne University School of Law, Fred interned with U.S. District Court Judge Robert J. Cindrich.